Now, the truth is that every single injury caused by an accident could render you with limited mobility. When it comes to orthopedic injuries, it could be anything from damaged tendons, cartilage and muscles to broken bones and a complexity of multiple fractures which need surgery. This could leave the victim of accidents with significant disabilities. Therefore, if you or a loved one has been involved in an accident of any kind and have sustained orthopedic injuries, you can contact AG Injury Law Office and allow our specialists to help you get the necessary compensation. Our legal team is going to make sure that everything is handled as per the highest standards. Our lawyers work in association and conjunction with quite a lot of medical experts and this is going to ensure that your injuries are properly addressed, treated and compensated. In the majority of cases, orthopedic injuries are usually the result of a car, motorcycle or a slip and fall accident. These tend to occur because of ill-maintained public spaces, oily surfaces, wet floors as well as poor visibility. At AG Injury Law Office, we are well aware that any of the aforementioned slip and fall accidents could potentially lead to limited mobility, permanent or temporary disability hence causing loss of income as well as significant pain and suffering. When you get diagnosed with orthopedic injuries when it isn’t your fault, but is due to the negligence or careless behavior of another person, you would need the services of a personal injury lawyer. 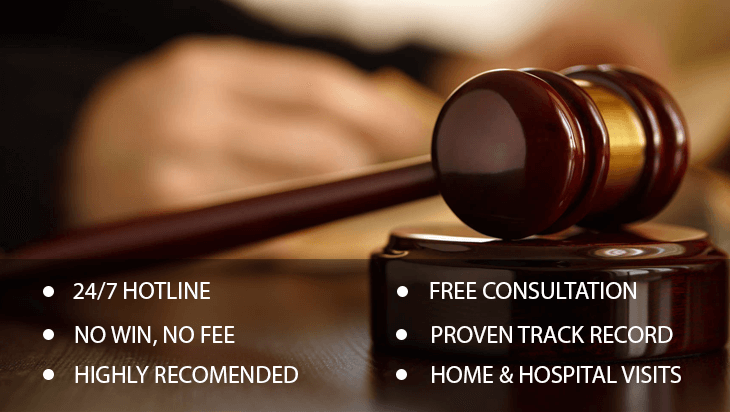 The legal experts will help you obtain the benefits and the financial compensation to which you are legally entitled. Because of complex changes in law as well as of complex legalities, not all of the claims will result in compensation. This is because aggressive lawyers of the insurance companies can deny claims or offer insignificant amounts of money. This is exactly why you can count on an experienced law firm like AG Injury Law Office to represent you properly and get the necessary justice. We’ve never turned down a claim which needs to be resolved at trial and we have significant experience at negotiating settlements and at mediating cases. With impressive success stories and million dollar compensation wins on behalf of our clients, you can rest assured that our representation is going to be top of the line. In order to accommodate your needs and for your own convenience, we are capable of visiting your home or hospital in Ontario in order to discuss the details of your current case. As the current changes in the regulations are numerous and complicated, filing a claim and navigating the process on your own is not only difficult – it is also unwise. This is the main reason for which you might want to get in touch with us – so that you can get the necessary legal representations. We are going to make sure that your rights are thoroughly protected and that you get the much needed monetary compensation. You can call us today, in order to schedule a consultation for a free, no obligation quote.